I think what people need to remember is that they are very experimental. Being experimental means you are going to come up with good and bad material regardless of how talented you are. I love the risks Crystal Castles take...I don't know many electronic bands off the top of my head that are as willing to go as far as them (which is sad since electronic music can be anything). The real kicker is whether or not an experimental band can come up with more good than bad. I think Crystal Castles has nothing to worry about there...I will take the bad as long as their good stuff is this freaking good. i don't temper my musical expectations based on supposed genres. What does that even mean? Was that a response to me saying they are experimental? Being experimental isn't a genre. I feel like if anything should temper one's idea of what to expect it would be that. Besides, I didn't even mean temper...I meant there will just be good and bad. Skip the bad songs. If you don't like even the good stuff, well, you are missing out but that is still your opinion. I just listened to I and II back to back today and I have to say, I like II better. They have more of a unique voice in that album. I can't wait to hear what else they can do. I'll never understand this. crystal castles was introduced to me in the same genre as the remix of them I just posted above by LA RIOTS. It's club music for god sakes. 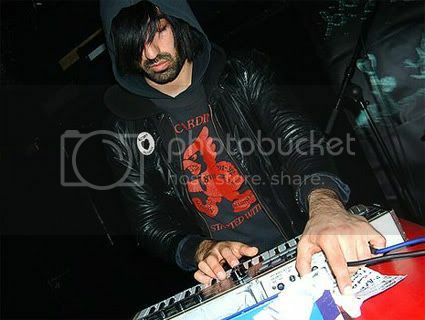 Nobody sees the Bloody Beetroots getting recognition from the hipster community, but because crystal castles was a little more creative with it suddenly they have some sort of artistic recognition. It's a DJ and some punker. She's barely even part of the band, he probably just takes her voice and changes it with FL or Reason, just like all of the other DJ's you can find underground on youtube, advertising their remixes or on soundcloud or rub a dub dub. You know why I think their new album is crap? It's a freaky sounding pop album and I can't dance to it at all. Also it's clearly marketed toward hipsters... I saw it coming too. No way any self-respecting drug addict would pass up an opportunity to make bank of idiots. It gets a little old that once hipsters accept some new band only hipsters can listen to it. Anyone else that listens to it obviously doesn't know **** about music. I'm sure I like quite a few bands that hipsters like. Uh oh. Crystal Castles isn't an EDM band...why would you listen to them to dance? It's club music for god sakes. I can't dance to it at all. MGMTs new album is excellent - it just took me 6 months to realise it. I don't get the hate for MGMT either. They're major label sell-outs, so what. They're the coolest rockstars (and by rockstars, I mean top 10 songs and albums) of our generation and they make some damn good music. IDGAF if they're corporate. I actually like their first album, but the second album disappointed me for some reason- I forget why it's been so long. Also, I like a lot of hipster music: NMH, animal collective, MGMT, etc. I think for some reason crystal castles being in the same genre as those bands doesn't rub me right at all, at some levels it makes me angry. I was excited to hear their new album, but I was really expecting them to just improve and become a better EDM band. So I guess when I saw their new album had singles, and MV's that to me looked aimed at a crowd, and sounds which were more pop-like-- I was just like "how could the fans of the band I was listening to ever like this?" I'm not saying I can't enjoy a good electronic pop album, there's a lot of pop music I like. Margo Guryan for instance, but it's hard for me to appreciate the transition- I want dance tunes. Also, anyone who says they never were even a bit EDM isn't considering all the shows they played at raves like H.A.R.D Hunted House alongside the best up and coming DJ's, or the fact that their real second album was called "Remixed and Rewired." Last edited by Schizotypic; 09-11-2010 at 06:50 PM.